For my newest young adult/crossover adult novel, SECRETS IN TRANSLATION, set in la bella Italia, I had to do a lot of research, even though I spent my early childhood there and have visited often. "Well!" you may be thinking, "Italy! Why not? Of course, you'd want to research that!" But besides researching the beautiful, drop-dead gorgeous location of the town of Positano on the Amalfi Coast, I had to find out a lot more about limoncello, the lemony liqueur with the piquant tang and a powerful punch. In Secrets, seventeen-year-old Alessandra's new boyfriend, Carlo, is the son of a renowned limoncello-producing family. Carlo and Alessandra drink it (there is no legal drinking age in Italy, and a chapter takes place in the factory (fabbrica). Ah, what a great research project! You're probably imagining my downing multiple glasses of limoncello. Well, if I'd done that, the book would never have been finished! But I was surprised to find there are many unusual aspects about limoncello. Commercial limoncello production is carefully controlled by the Italian government. Its quality is based on the very specific lemon varieties known as IGP (similar to DOCG in wine) that are licensed to produce it, such as Sfusato Amalfitano and Massa Lubrense lemons. Limoncello producers closely guard their secret recipes, but if you have Italian friends, they may be willing to share their family recipe with you, often passed down from a grandmother (una nonna). The forty days of steeping are worth the wait! *Marinate lemon peels (you need about 13 lemons) in about 4 ¼ cups of alcohol (95% alcohol, 190 proof) for 48 hours in a tightly closed jar. In the meantime, prepare a syrup by boiling about 3 ¾ cups of sugar in a quart of water. Let the peels sit for 48 hours. *Let the syrup cool before adding it to the lemon peel mixture after its 48-hour rest. *Strain and bottle, discarding the lemon zest. *Let it steep in the well-closed bottle for 40 days—yes, 40! Commercial limoncello factories have to respect specific rules about the ingredients, which must be local “IGP" (Indicazione Geografica Protetta) lemons, as naturally grown as possible, to meet strict hygiene regulations during production. There are also rules regarding shipping outside the country. The only danger from drinking limoncello? Getting drunk. My advice: Sip slowly. Limoncello è il popolarissimo liquore -- Limoncello is the most popular liqueur. Author of twenty-eight books, Margo Sorenson spent the first seven years of her life in Spain and Italy, devouring books and Italian food. A former middle and high school teacher, Margo has won national recognition and awards for her writing. Available at Amazon, Barnes and Noble and her publisher. 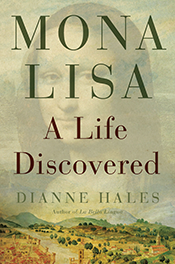 Dianne Hales is the author of MONA LISA: A Life Discovered. 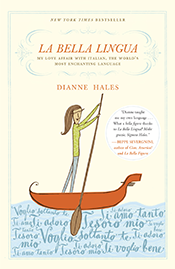 \ LA BELLA LINGUA: My Love Affair with Italian, the World's Most Enchanting Language and LA PASSIONE: How Italy Seduced the World (coming in April). Culinary historians trace pizza back to a focaccia bread called picea baked in ovens in ancient Rome. The first Neapolitan pizzas were white, topped with garlic, lard and anchovies. In the 1600s the cooks of Naples began growing pomodori (“golden apples” or tomatoes) from seeds imported from the New World and “married” them with hand-worked dough. Hungry fishermen just back from the sea eagerly devoured flatbread topped with tomato and garlic—the original pizza marinara (sailors’ pizza). Although initially a poor man’s food, pizza attracted fans from all classes. The Bourbon King Ferdinand I, ruler of Naples in the nineteenth century, would dress in shabby clothes to sneak into a local pizzeria. His successor Ferdinand II invited a pizzaiolo (Italian for pizza-maker) named Don Domenico Testa to come to his palace and bake pizzas for the ladies of the court. 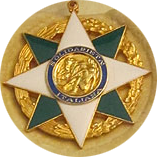 As a tribute he bequeathed to Testa the title Monsieur, usually reserved for the chefs de cuisine of royal households. Monsu, as the Neapolitans pronounced the honorific, became a nickname for the city’s pizza bakers. One monsu created a classic in 1889, on the occasion of King Umberto I and Queen Margherita’s visit to the city. When the Queen requested a pizza, the pizzaiolo Raffaele Esposito festooned it with green basil, white mozzarella and red tomatoes, the official colors of Italy’s new flag, to create the first pizza Margherita. Emigrants carried their love of pizza to the United States, where it morphed into dozens of variations that bore little resemblance to true Neapolitan pizza. Neither the ingredients nor recipe for the original have changed over the centuries. The dough must be made only from flour, yeast, salt and water and kneaded by fist for at least fifteen minutes before it rests. In a process called staglio pizza-makers form panetti (balls of dough), which they extend with a skillful motion termed schiaffo (literally slap or smack) and may twirl in the air. Working from the center, they then add toppings with a clockwise, spiraling motion. Each pizza is baked in a stone-lined, wood-fired oven, heated to a temperature of at least 750 degrees Fahrenheit. The cornicione (border) must be high and soft; the entire crust not overly crisp or at all soggy, with the ingredients melting together in two minutes or less. I tasted my first true Neapolitan pizza—several, in fact—at the bayside terrace of the Hotel Transatlantico in Naples, baked by master pizzaiolo Luciano Forte (above). Each was a work of culinary art, blending the flavors of well-baked bread, slightly acidic tomatoes, melt-in-your-mouth local mozzarella and tangy oregano, garlic or basil. If you live in the San Francisco Bay area, you can taste Neapolitan pizza without a passport. Beginning April 10, the Consulate General of Italy, the Italian Cultural Institute and the Associazione Verace Pizza Napoletana (Association of True Neapolitan Pizza) are sponsoring a series of tastings and events. Click here for a complete calendar. Buon Appetito!